For the last week, Chris Brown has been actively sharing the most adorable moments he's spent with his daughter Royalty. When it was first announced that he was having a child years ago, many questioned how the controversial artist would fare as a parent. 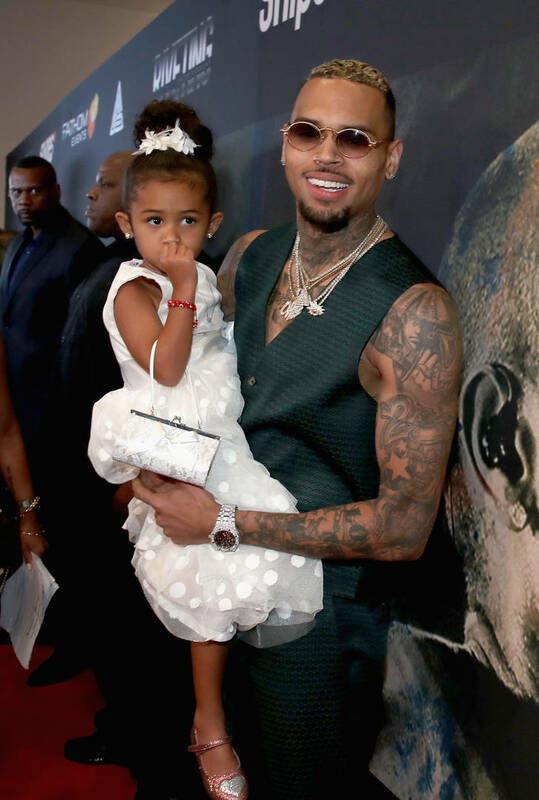 Despite some issues with Royalty's mother, Nia Guzman, Breezy has turned out to be a great father, spending lots of time with his girl and bringing her to several of his shows. The other day, the family gathered around the television to watch Chris' acting role in This Christmas, which got RoRo out of her seat and dancing. Now, CB shared another precious video of his baby girl as she hit BlocBoy JB's viral "Shoot" dance. The Memphis rapper may not get the credit he deserves but he is the rightful creator of the "Shoot" dance, not Fortnite. Chris loves to share the most adorable moments with his daughter and he came through again today with some wholesome content, posting a clip of Royalty dancing in the hallway. She's wearing a full Gucci set with some rain boots as she busts a move. Ah, the joys of being a rich kid. Royalty has to be the cutest celebrity child in Hollywood. At this point, she doesn't have much competition.